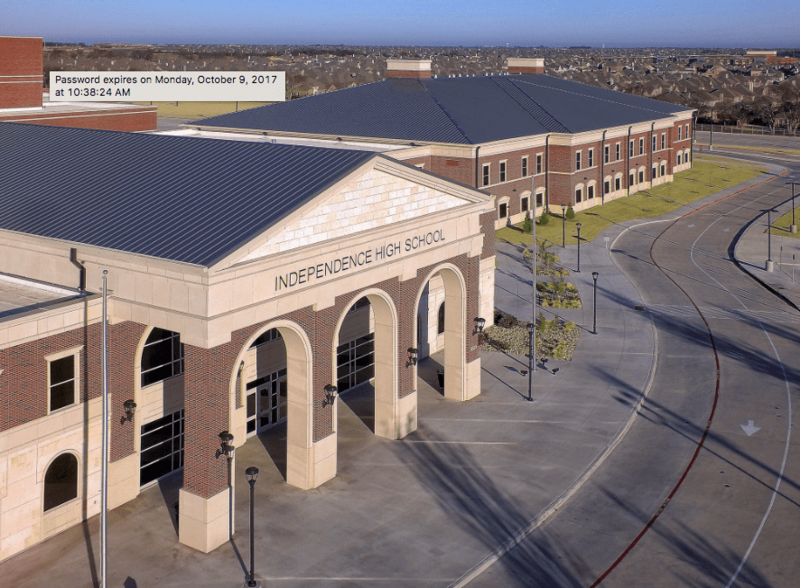 Independence High School in Frisco, Texas, was conceived as an impressive new construction project on a tight schedule. The standing seam metal roof of the building was a key component in the architectural planning, as it was designed to provide aesthetic appeal for the massive structure while minimizing the view of mechanical equipment for passers-by on the ground. The roof also was comprised of several low-slope sections, which were covered with a modified bitumen system. Both the metal and modified systems contributed to the building’s energy efficiency, helping the project achieve LEED Silver status. 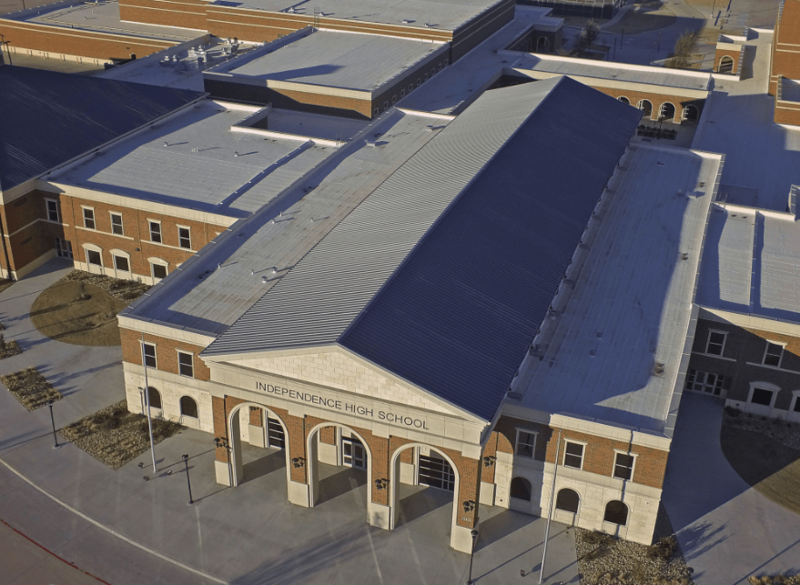 The roof systems were installed by the Duncanville, Texas, branch of Progressive Roofing Services. Randy Dickhaut, the company’s general manager, indicated the project was completed in approximately one year—an ambitious schedule for a job of this size. “It was a challenging new construction job,” he says. “There were a lot of logistics involved, but in general, the job went very well. The first goal of the project was drying in the metal decking. A two-ply, hot–mopped modified bitumen system manufactured by Johns Manville was installed on 24 decks totaling approximately 195,000 square feet of low-slope roof area. The system was applied over two layers of 2 1/2-inch polyiso insulation and 1/2-inch JM Securock cover board. The system was topped with an Energy-Star rated cap sheet, DynaGlas FR CR. 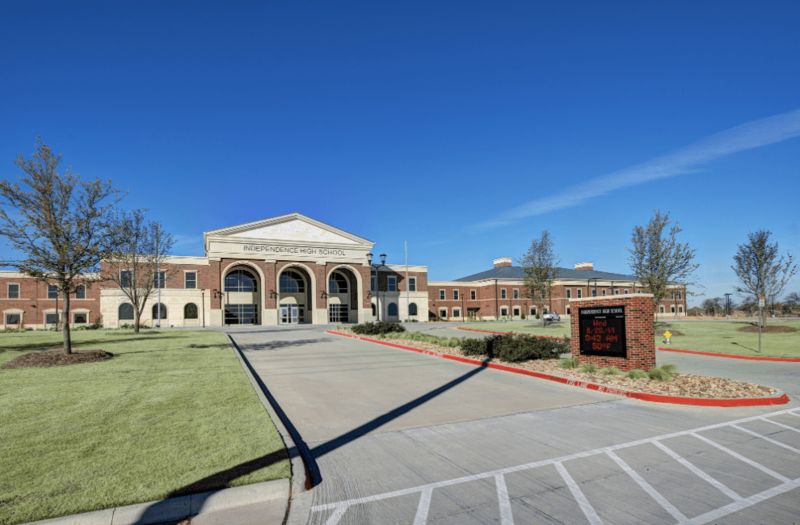 In the nine sections where the 88,000 square feet of metal roofing was installed, two layers of 2 1/2-inch polyiso insulation were attached, along with plywood decking and self-adhering TAMKO TW Tile and Metal underlayment. 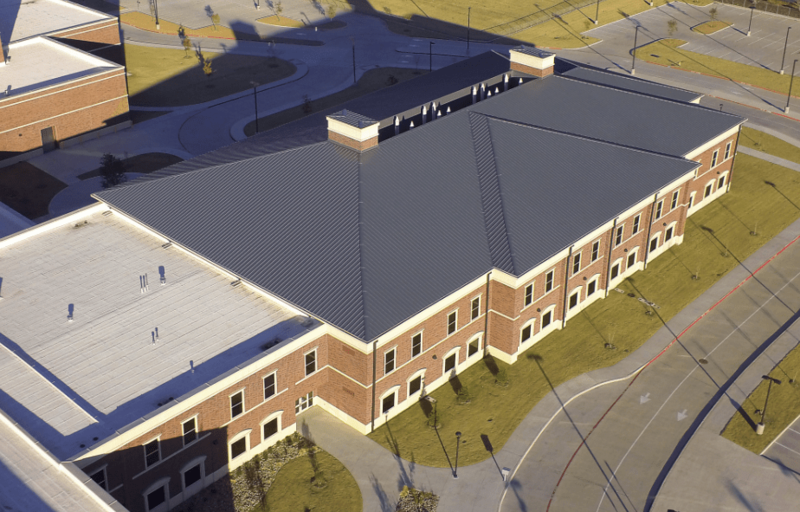 The standing seam metal roof system was manufactured by McElroy Metal, and the company provided the manpower and equipment to roll form the panels on the job site. Roof panels were the company’s 22-gauge Maxima 216 panels in Weathered Galvalume. These panels were complemented by 24-gauge Flush panels on walls and soffits. The length of some of the panels posed a challenge, and as many as 12 crew members were needed to guide them into place for installation. In the steep-slope sections, crew members had to be tied off 100 percent of the time, so retractable lanyards were used to help keep safety lines out of the way.